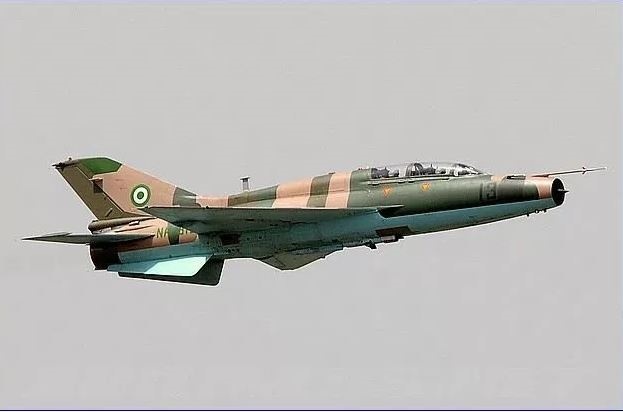 The Nigerian Air Force says it has destroyed some facilities of Boko Haram terrorists in an aerial operation that also saw the death of some of the insurgents. Onslaught against Boko Haram insurgents has continued in Borno State, with the Nigerian Air Force (NAF) destroying some facilities of the Boko Haram terrorists. The airstrike occurred at Bukar Meram and Tumbun Allura on the fringes of Lake Chad in Borno. In a statement on Monday, September 10th, the spokesman for NAF, Air Commodore Ibikunle Daramola, said the operation was carried out on Sunday. Several insurgents were killed in the airstrike, he said. The attack at Bukar Meram was conducted based on credible human intelligence reports indicating the presence of some insurgents along with their equipment within the settlement. “This is subsequently confirmed by successive days of Intelligence, Surveillance and Reconnaissance (ISR) missions. “Accordingly, the ATF detailed a Nigerian Air Force (NAF) Alpha Jet aircraft and helicopter gunship to carry out air interdiction at the location,” he said. Daramola explained that the ISR missions had indicated that some terrorists were attempting to re-group at another location in Tumbun Allura, after their bases in the settlement were destroyed on September 4. The spokesman for NAF further stated that the NAF, working in concert with surface forces, would sustain the momentum of Operation Thunder Strike 2. The strike, which occurred two days after Boko Haram and troops of the Nigerian Army engaged in an over 12 hours battle in Gudumbali, was with a view to seeking out and destroying vestiges of the insurgents in the Lake Chad green fringes. Boko Haram had seized the community for hours before the troops reinforced and chased them out of the community.